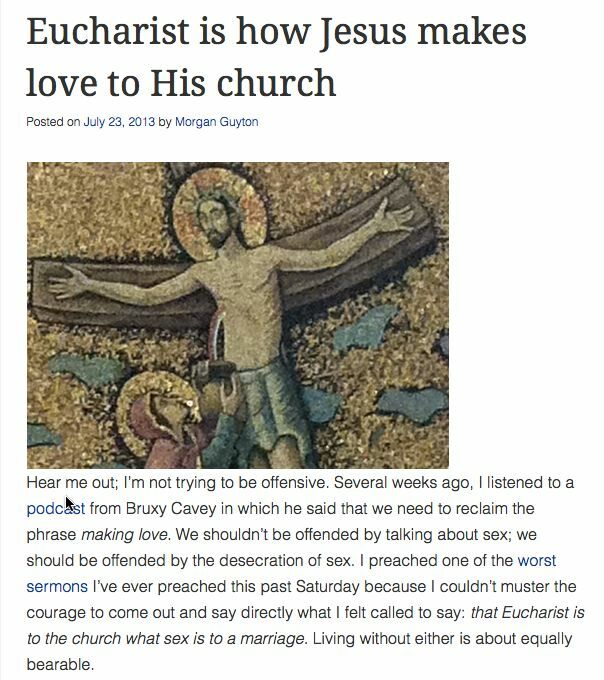 Sacramental Nazarenes: Blaspheming The Lord Now? I thought I had seen it all. Surely there is a limit to their behavior. But apparently not, and this example shows you how far some will continue to go to bring down the Church of the Nazarene to the gutter it seems. 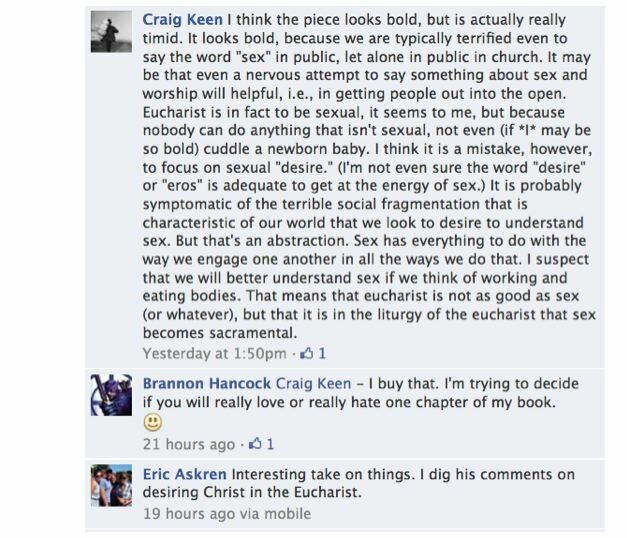 The following example is a dialogue on the Sacramental Nazarenes Facebook page, a group which also seems to be promoting a closer connection with Roman Catholicism. 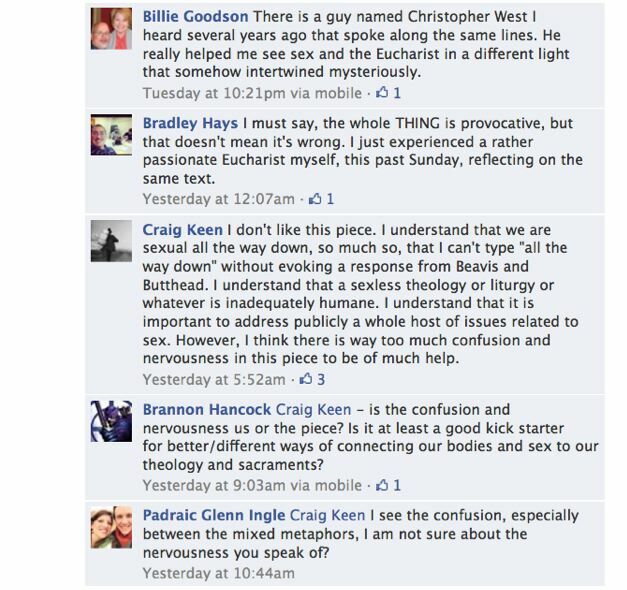 The discussion is of an article titled “Eucharist Is How Jesus Makes Love To His Church.” Really? When you read the article, please read with caution, and you may not even be able to get through the whole thing. It is blasphemy, plain and simple. Have we come to this point now where “Christians” on this Nazarene group are actually going along with this as if it is a good thing? 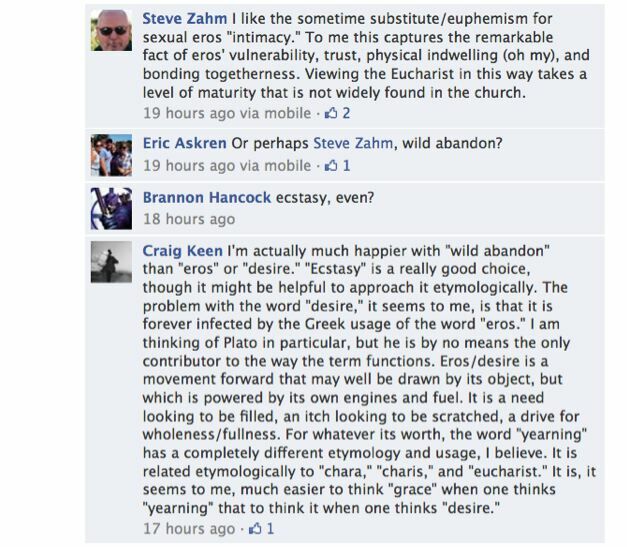 And notice that not one member has yet stepped in to rebuke such blasphemous talk. 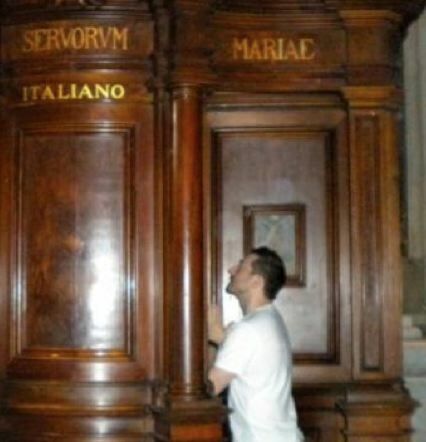 And some people thing we are crazy and are making much ado about nothing, when we warn you that the Church of the Nazarene is becoming an apostate denomination! Where is the leadership of the Nazarene denomination who are members of this group? 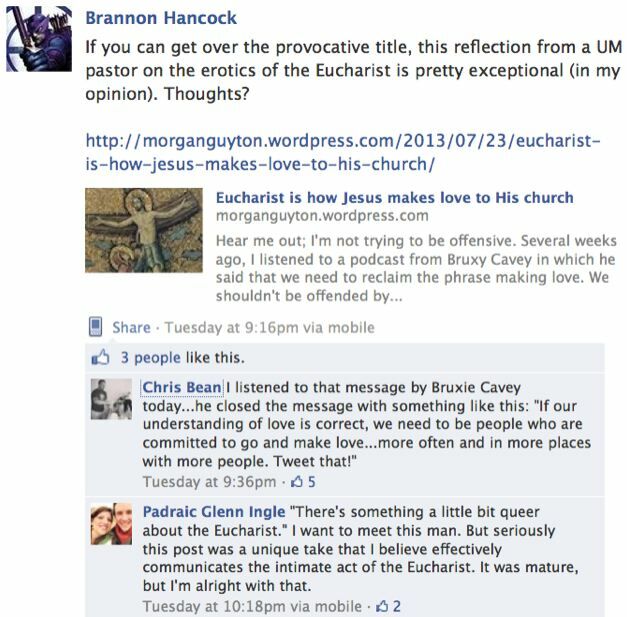 Don’t they see anything wrong with this, and why have they not called out these people for their blasphemous talk?